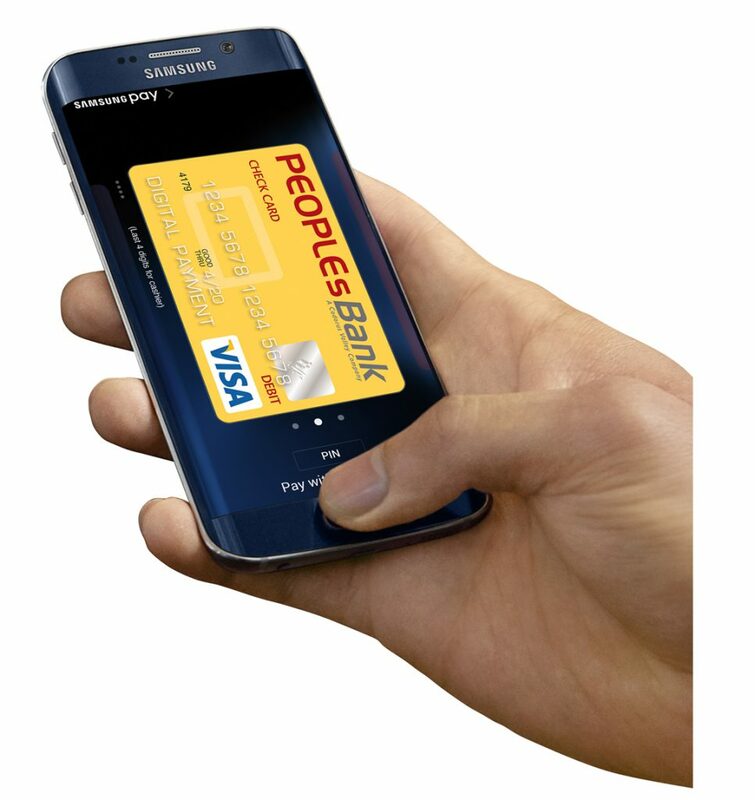 Now, you can use your PeoplesBank VISA® Debit Card with Samsung Pay almost anywhere you can swipe or tap your card. Get the features and benefits of your PeoplesBank VISA® Debit card – right on your device. Samsung Pay makes paying with your phone fast, easy and convenient. Plus, it works almost anywhere you can swipe or tap to pay.